What do the employability skills for the future look like? What should we be focussing on to ensure young people are prepared for work after their education? 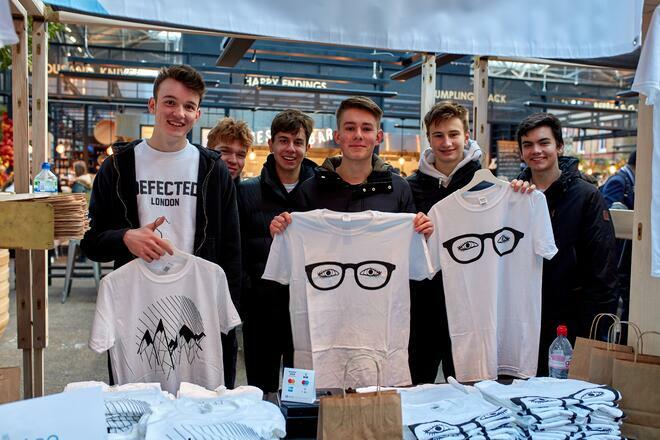 We met with Young Enterprise to learn more. Not only do they have a bad press, but statistics from the Institute for Employment Studies show that in the UK, young people aged 16-24 are currently almost three times as likely to be unemployed as all other age groups combined. It has become apparent that there is a widening skills gap amongst young people and the generations before them. For many, the solution to this issue lies in providing young people with more opportunities to learn through experience. Sharon and the team at Young Enterprise aim to empower as many young people as possible helping to develop the employability skills that modern employers are looking for. They reach over 250,000 young people every year, helping to make the connection between school and the world of work. Their flagship “Company Programme”, for example, allows school age participants to experience what it’s like to set up and run a business. Throughout the course of one academic year, students create a product or service, develop a business plan and company name, and manage end-to-end operations from sourcing and production, through to marketing and sales. “Creating a business with a real social purpose is becoming increasingly important to young people”, Sharon tells me. One of the teams from the 2017 Company Programme provides a good example of this: the group of Year 11s from Swansea, Wales had developed a shoe insole which included a hidden compartment for safekeeping a spare key and spare cash in case of an emergency. They came up with the idea after hearing the tragic story of a student who had died when they went missing after not being able to make it home from a night out with friends. The team behind SOS (Save Our Soles) believed that their invention could have prevented that tragedy. Through practical learning, the Company Programme teaches students the kinds of soft skills that are becoming more and more crucial to gaining employment. Skills like relationship building, resilience, self-confidence and teamwork will ultimately help to differentiate candidates when they do start applying for work. Along with these, the entrepreneurship experience provides invaluable lessons about management and leadership, networking, the value of money and financial planning. In many instances, too, it teaches you how failure can lead to new ways of doing things differently. These are all skills that many employers look out for in competency based interviews. “Give me an example of a time when you showed resilience”, might cause even the most technically qualified person to spiral into a stuttering mess. But if you have a story of when you and your classmates created a product from scratch and X, Y and Z went wrong and this is what you did about it, you’ll stand out. 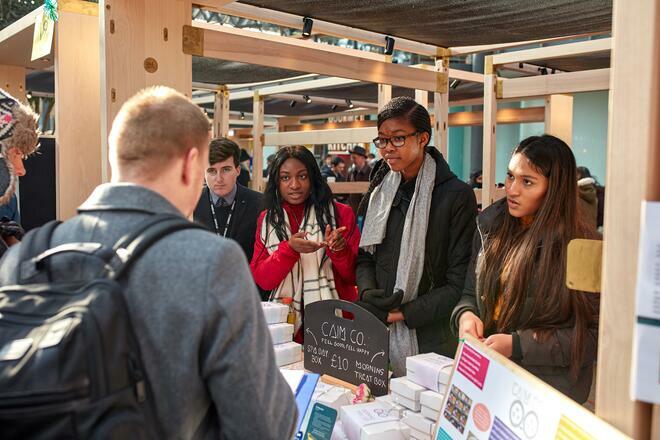 The results of Young Enterprise’s Company Programme speak for themselves, with 95% of alumni in employment, education or training compared to the 88% national average. Speaking to the students themselves, as I had the pleasure of doing at the recent 2018 Young Enterprise UK Company of the Year Awards ceremony, provided even more evidence of the impact this kind of experience has on the students’ lives. Before the award ceremony, each of the shortlisted teams (who had competed against 1,300 teams from up and down the country) had set up a trade stand, showcasing their products and achievements. As I made my way round all the stands, I spoke to groups of young students from every corner of the UK. Some had created apps, some had made conservation and education resources, others had designed and manufactured products working with overseas suppliers. The students all spoke with great confidence, passion and pride about their experiences, their successes and their failures. With each conversation it became more and more obvious that even though the Company Programme is a competition, all the students in the room had gained something from taking part. They had gained a belief in themselves, and that can make all the difference. Sharon is in no doubt that there’s an abundance of talented people across the UK who, if given the right opportunity, will unlock their own potential. She refers to her own experience when someone believed in her, and encouraged her to use skills and become a youth worker. That belief gave her the confidence to leave her supermarket job and enter a field which she was truly passionate about. But that opportunity doesn’t arise for everyone. The reality is that some young people are at a disadvantage in terms of their access to the opportunities that lead to skills development. It might be that they can’t afford the right equipment, or are based in a location which is isolated geographically or are acting as a carer for a member of their family, for example. The real challenge for educators and organisations like Young Enterprise is in breaking down those barriers and creating opportunities for young people from all walks of life to benefit from. A big part of the charity’s strategy for the future is to find those young people who are at a disadvantage, and bring their services to them. You can see the full interview with Sharon Davies of Young Enterprise here.